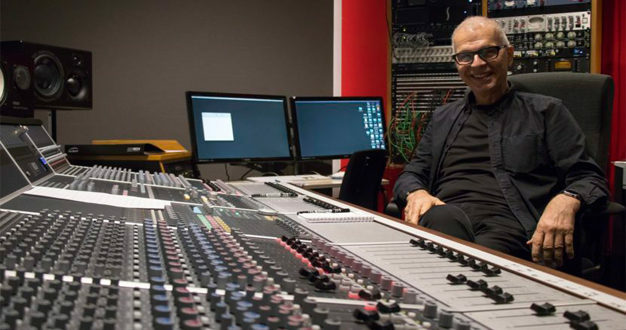 Kingston University’s new Visconti Studio has installed an Audient ASP8024 Heritage Edition just in time for its 2017 Winter School, which has been taking place this week, led by Grammy and MPG Award-winning Tony Visconti himself. 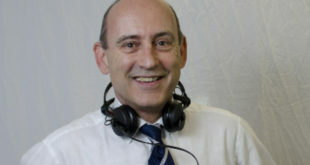 The brand new studio at the University’s Kingston Hill campus opened in September last year, and is part of a large-scale research and teaching project in partnership with the British Library and the Science Museum, called "The Heritage and Future of Analogue Recording and Production". 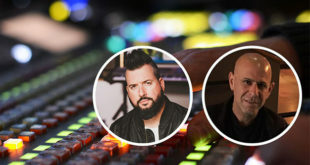 This involves the influential producer not only lending his name but also his expertise, working with students and staff of Kingston University – as well as invited artists – to produce records. 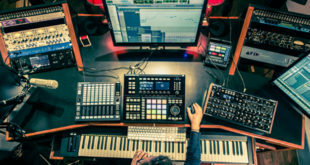 The new Audient Heritage desk – like the original ASP8024 analogue design with added enhancements and features – is in good company in the studio, working alongside vintage and rare recording equipment, all of which come together to help achieve the project’s mission: to preserve the sounds and practices of the analogue past for the digital future. The Visconti Studio also features a rather unique collection of instruments including a Mellotron, a Hammond organ and Steinway concert grand piano, and is based around a 300m2 octagonal live room. This month, Tony Visconti bagged two Grammy Awards for David Bowie’s Blackstar as Best Engineered Album (non-Classical) and Best Alternative Music Album, and was also presented with the 2017 Music Producers’ Guild Award for Outstanding Contribution to UK Music at the annual ceremony in London last night. 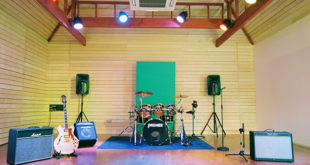 Visconti Studio hosts public events and runs occasional short courses, in addition to being available for commercial hire.